Melbourne is 878 kilometers from Sydney and the driving time between the two cities is around 9 hours, but that’s when you don’t account for any stops or breaks along the way. If you are moving from one city to the other and need to transport a large number of things, the move can cost a pretty penny when you hire professional removalists. This is where we at Fast Removalists come to the rescue. As a company that has been operating in this space for a number of years, we provide excellent solutions such backloading Melbourne to Sydney. If you don’t have too many things to move, you don’t need to book the entire truck. Not only will this service help you save some money on the move, but you also have peace of mind that an experienced and proven backload moving company is handling the job for you. Backloading Melbourne to Sydney – What’s Involved? In a standard removal, you have to book the full truck. When you are moving an entire house or office that may be a viable option and it justifies the cost of booking the entire truck. But professional removalists’ services may become prohibitively expensive when only a small number of items need to be moved. This is why our backloading services are especially advantageous for clients that need to transport only one or two items across state lines. These interstate removals’ solutions become cost-effective because you pay only for the amount of truck space you need. The cost of the overall transportation is divided over other clients that need a similar service across this same route. The services of a backload moving company are convenient & affordable – These services are extremely affordable because the truck that is returning to Sydney from Melbourne will be used for backloading the belongings of different clients. Our removalists make sure that all the items are kept separate and that they reach the destination in good shape. You are able to hire the services of a professional removalist at a fraction of the cost of hiring a full truck. This is how backloading become a convenient and affordable option for many clients. 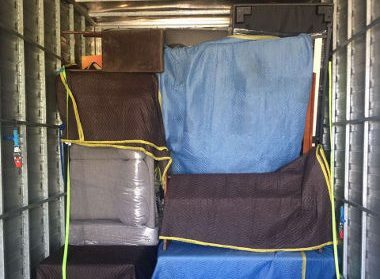 Safe backloading removalist Melbourne to Sydney – Even though you are booking only a small space on our interstate removals truck and pay far less than a standard full truck booking, you still receive the same high standards of services that all our clients receive. You don’t have to worry about your belongings going missing or becoming damaged. We handle every job expertly and professionally. 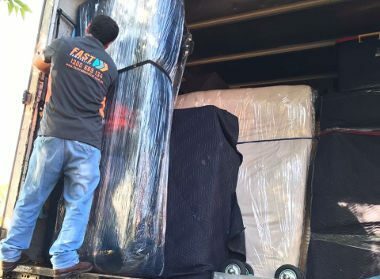 Environment-friendly, backloading removals Melbourne to Sydney – If you don’t have access to a service like this where you book only part of the truck for your removal needs you would just have to book the entire vehicle or maybe make some alternative arrangements. Not only does this become an expensive interstate removals option for you, but it also means you add to the number of vehicles on the road and stress the environment; more vehicles translates to higher emission levels as well as higher pollution levels. In comparison, when you opt for backloading, the same vehicle is shared by multiple clients and that reduces the total number of vehicles on the road. 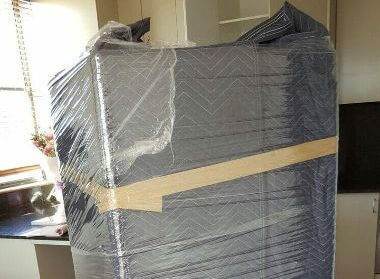 Interstate removalists Melbourne to Sydney backloading – Removals across state lines can become very complex if there is no proper plan and organization. We have handled a large number of similar removals and have developed expertise in this field. 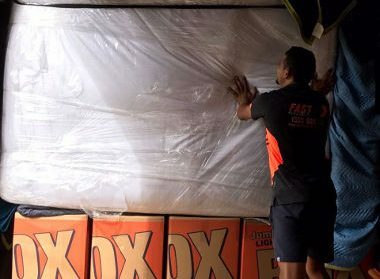 Our skilled removalists’ team ensures that all the items are packed and loaded very carefully as well as positioned well and anchored securely to the floor of the truck. We make sure that none of the cargo gets mixed up and that it is segregated properly. Backload furniture removals by skilled removalists – Moving furniture across state lines isn’t something an inexperienced company can handle. These pieces are generally large, unwieldy and heavy. It’s why we always have an experienced furniture removalist on our team. The professional will make sure that all the furniture pieces are packed, hauled and transported safely to the destination. A fully-certified and licensed backloading moving company and you can rely on us to transport all your belongings to the destination reliably and expertly. One of the most affordable removalists in the region. When you call us, we will provide you detailed and upfront backloading quotes and that gives you complete clarity of how much you will be paying for the service. You also have the option to use the interstate moving cost calculator on our site; once you add the required details, you will get a rough estimate of the costs involved. 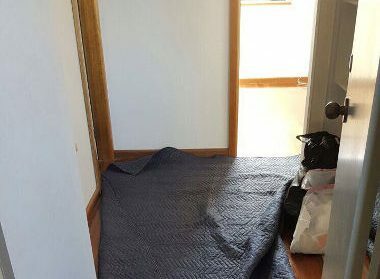 We are the interstate removalists Melbourne to Sydney company with a very good insurance cover and our clients’ interests are our topmost priority. 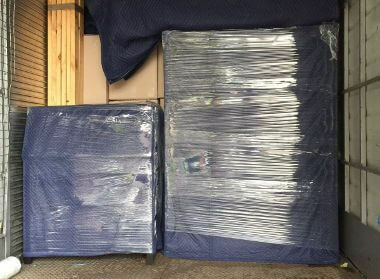 For any more information about our backloading Melbourne to Sydney services, feel free to give Fast Removalist a call. We are the high-quality moving services providers that have well-trained removalists to help with all your removal needs.